Right from the moment I called, Paperchain Wedding Stationary were happy to help. Nothing was too much trouble. Paperchains fresh-looking and easy-­to-use website reflects their professional approach and efficient manner when it comes to wedding card design and sets your mind at ease right from the start. Due to my previous stationers pulling out I needed a quick turn-around on my wedding invites. They had them processed in the space of a week, even working through the weekend to get them done. The cards were of a very high quality, elegant and laid out exactly how we wanted them; even though we asked for a rather unusual design. Emailed layouts help you visualise the design and enable you to make any last minute changes, giving you piece of mind throughout the process. 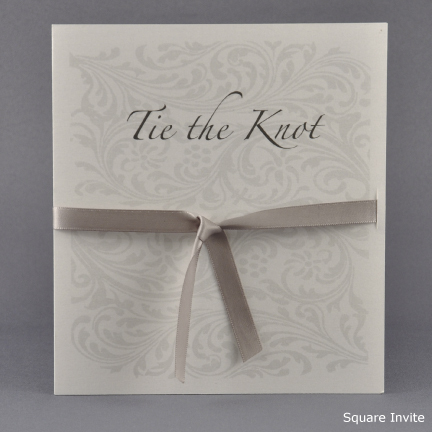 I have no hesitation in recommending Paperchain Wedding Stationary. From the invites, to the table plan, menu cards to the table name cards, they ensured that all our needs were met. Thank you for all your time and effort.